Between January and March 2018, a star could be seen from a large part of the Earth, like a faint point of light in the sky. This time it wasn’t a supernova, like the one Kepler studied, but the fruit of the Humanity Star project. Under strict secrecy, the New Zealand company Rocket Lab, dedicated to putting small artificial satellites into orbit, had added an additional device to the payload at its launch on 21 January 2018. It was a small satellite with only one specific function: to create an artificial star. Their plan was to make this star shine bright enough in the sky to be seen with the naked eye from anywhere on Earth, to help humanity understand our place in the universe. We don’t know if that idealistic hippie part of the project came to fruition, but what it did generate is a great polemic in the astronomical community about the freedom to put “new stars” in the sky by mere caprice. Apart from that debate… how did they do it? The device, about a metre and a half in size and geodetic-sphere shaped, very similar to a disco ball, had only one mechanism to deploy once it reached its orbit. No lens, light or other illumination point is necessary to generate an artificial star, since the geometry of the orbits of satellites allows them to take advantage of the Sun’s light: in other words, they reflect and direct sunlight towards the hemisphere of the Earth where it’s night. Thus, from the surface we see that reflection as a new point of light. The new star could only be observed just after sunset or shortly before dawn. The same thing happens with satellite flares, which are seen every night from the surface like stars advancing rapidly across the vault of the sky. The passage can last from a few seconds up to some minutes, in which the object crosses the sky with a constant velocity. 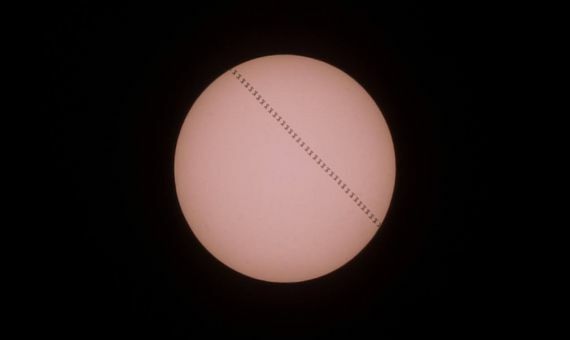 Sometimes you can see variations in the brightness, like pulses; this is due to the rotation that many satellites use to avoid being oriented with the same side always facing the Sun, thereby distributing the temperature evenly across the surface. The brightness of these satellite flares depends on their size and how reflective their surface is. Among the brightest is the network of Iridium communication satellites and the International Space Station, which may be the brightest objects in the entire sky. The sight of them is spectacular and is within reach of anyone. Spotting them is quite easy, because their orbits are known and we can find out the exact time and place of the sky across which the satellites visible on one particular night will pass. We simply enter our geographical position into web pages such as Heavens Above. An even more convenient way is to install the mobile app (available for Android and also for iOS), which gives us in a more visual way all the information from that same webpage about the passage of satellites overhead. Another factor that helps in the observation of satellite flares is that the time to see them is right after sunset or shortly before dawn. In fact, we will never be able to see them in the middle of the night, as they would be passing through the shadow zone of the Earth. Where does their brightness come from? To understand why, and from where their brightness comes, imagine our city on a terrestrial globe at the moment of nightfall and we are already in the shadow zone of the Earth. If we could construct a building about 400 kilometres high, just after sunset the top floors would be above the shadow of the Earth, so that while on the ground floor it would already be night, on the roof we would still be in daylight. Though we may dream of reaching the sky, our modern concrete still doesn’t permit us to build to that height, which is where satellites orbit. This is why they enter later (or leave earlier) the shadow zone generated by the Earth itself, and why they reflect sunlight towards the surface, where it’s night. The satellites and spacecraft visible today come as an indirect consequence of their main functions—which are communication, research and positioning services—but the cheapening of low orbit launches is encouraging purely aesthetic projects: simple artificial stars. In 2017, there was a failure in the unfolding of the reflector of the Russian satellite Mayak, which means lighthouse. Those responsible for the project expected it to become the brightest object in the sky, rivalling the Moon itself in brightness. And we don’t have to look to the distant future to see new artificial stars in our sky. The artist Trevor Paglenya has prepared the first space artwork in history, the Orbital Reflector, which he hopes to launch into space this October. 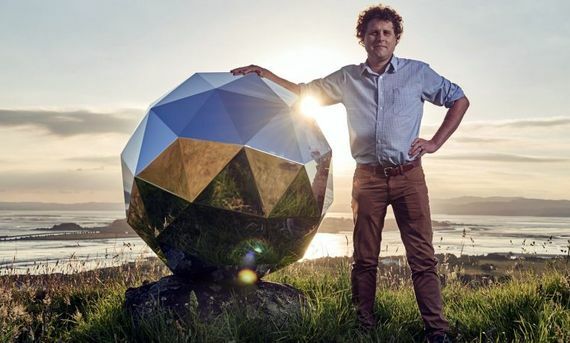 From a mini-satellite he plans to deploy a huge reflective structure, which will shine like a second-magnitude star, competing with stars from constellations such as the Great Bear. In fact, with increasingly cheaper space launchers, it is now possible to put half a dozen artificial stars into orbit to construct an astronomical constellation. It could be done in such a way that this artificial constellation formed the logo of a registered trademark in the night sky. Will we be seeing advertising in the night sky in the form of new constellations?